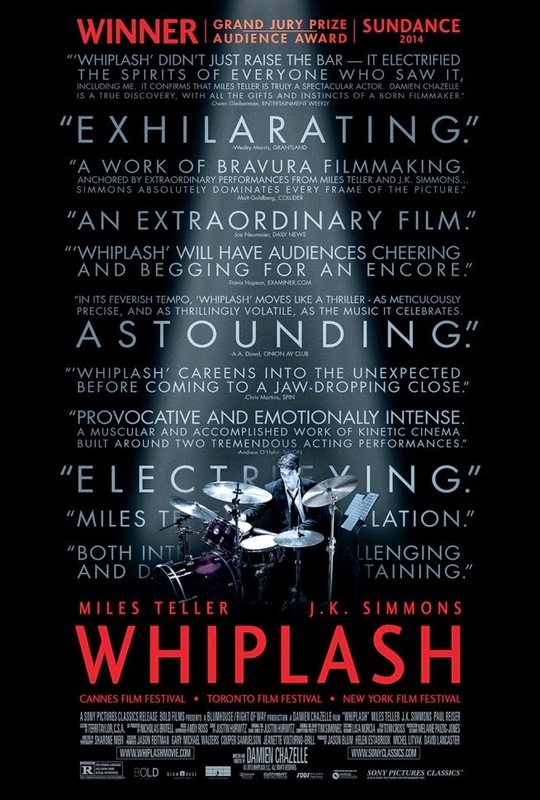 As soon as my boyfriend showed me the trailer for Whiplash I really wanted to see it. It had a great trailer which looked exciting plus it's received a whole load of award buzz. This film met and exceeded my pretty high expectations and I absolutely loved it. Whiplash tells the story of student and ambitious drummer Andrew (Miles Teller) who attends one of the best schools for music in the country. He is selected by Fletcher (J.K. Simmons) to join his prestigious jazz band, however Fletcher's teaching styles are extreme to the point of abusive. Do the ends justify the means? I absolutely loved this film. I thought it was great from start to finish and really got you feeling for the characters. The acting is fantastic and I've got no doubt in saying that J.K. Simmons is almost guaranteed the best supporting actor award. (Sorry Mark Ruffalo). Miles Teller is brilliant and the fact that he played drums throughout his teens shows as you definitely can tell it's him playing. The film is comical and you can tell the actors got the chance to let loose a little and ad lib some of their scenes. The whole movie feels very naturally acting and nothing feels put on. You can see the exhaustion in their faces and the audience feels awkward and like they are in the room when Fletcher is screaming abuse at his students. The whole film is wonderful and I would be very happy if it won the best picture award. I sort of think it'll go to Birdman, which is very deserved however I would probably recommend this film more over Birdman, it's more enjoyable for a film go-er audience whereas Birdman is much more of a selected style of audience. For more oscar nominated reviews, I've reviewed Birdman, Foxcatcher and The Grand Budapest Hotel.